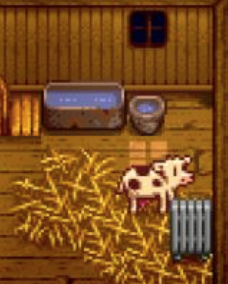 You can purchase the cow at Marnie’s Ranch for just 1500 gold once you get a barn. You can get the cow in two different varieties, the white and the brown. But it is not up to you to select the color of the cow when you are purchasing a cow; the game will automatically select the color of the cow. Your cow will mature after five days and then they will be able to produce milk. You can get the milk every morning. A cow produces two types of milk, the first one is Milk and the second is Large Milk. In order to get the large milk, you need to increase your friendship with a cow. And you can increase the friendship by milking the cow using milk pail that increases friendship by 5 points. 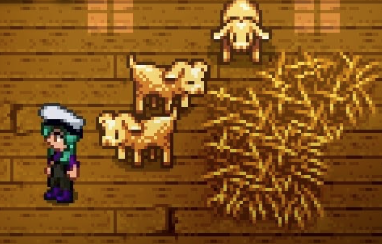 Just like the cow, you can purchase the goat from Marnie’s Ranch, but you need a big barn for goat. The price for purchasing a goat is 4000 gold. You can milk the goat after it matures and that takes five days. The goat will produce the Goat Milk every second day. And when your friendship with goat increases, you will be able to get Large Goat Milk. You can collect the milk of goat using the Milk Pail. 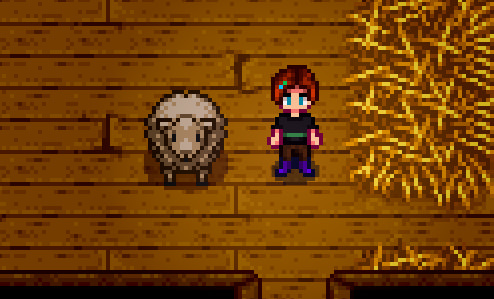 You can purchase the sheep from the Marnie’s Ranch. The price of purchasing the sheep is 8000 gold but you have to own a deluxe barn. You can use the sheep to collect wool and then sell it for gold. 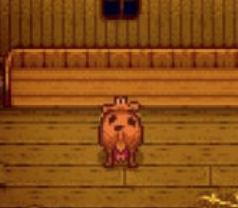 In order to collect the wool, you need to purchase the shears from Marnie’s Ranch. You can collect the wool after every three days but you need to feed the sheep and it must have at least 70 happiness. Having a shepherd profession can reduce the time sheep takes to grow wool by one day. If you have 900 or more friendship, then the time for wool will reduce by one more day meaning you can collect the wool every day. 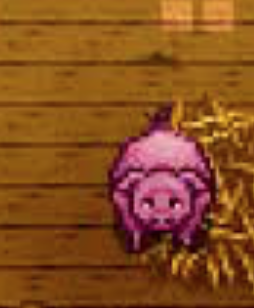 You can purchase a pig from Marnie’s Ranch for just 16000 gold but you need to have a Deluxe Barn first. A pig matures after a period of 10 days and the pig dig up truffles which you can sell for 625 gold. - You have to let the pig wander outside to create truffles. - Pigs will not be able to create truffles in rain or winter. - You need to put the pigs in natural pasture area. Floor, gravel etc. will not work. This is it, now you have enough information that you can use to properly run your own barn. You will not have to search for hours to know when your cow will be matured or where your pig will create truffles.